Capoeira is a game, a dance and a fight. Two players start at the foot of the berimbau, a musical bow which is closely related to the African musical bows since the times of the slave trade and the diaspora. 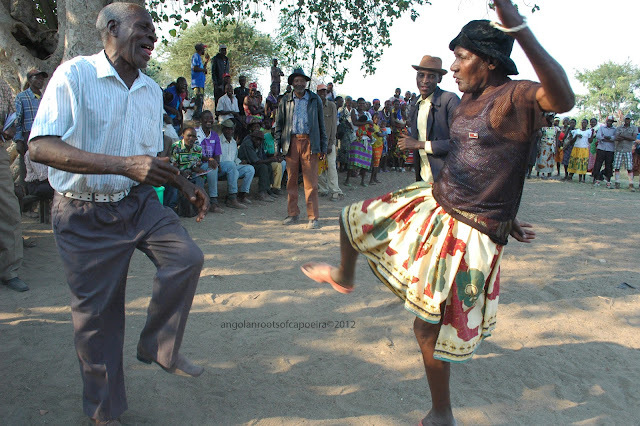 The game begins to the tunes of the gunga, the bass berimbau with a deep, far-reaching, and lamenting sound. 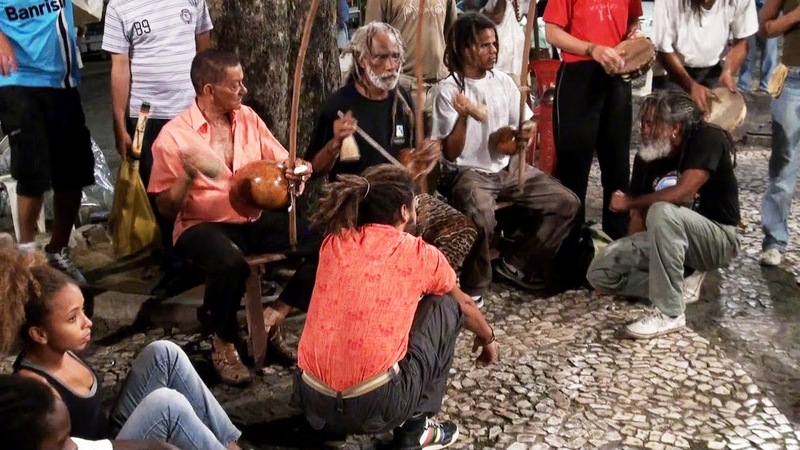 The lead singer starts to sing a personal song about his take on Capoeira and life, intertwined with stories of heroes and anecdotes from a more distant past, of extraordinary games and of capoeira during slavery. 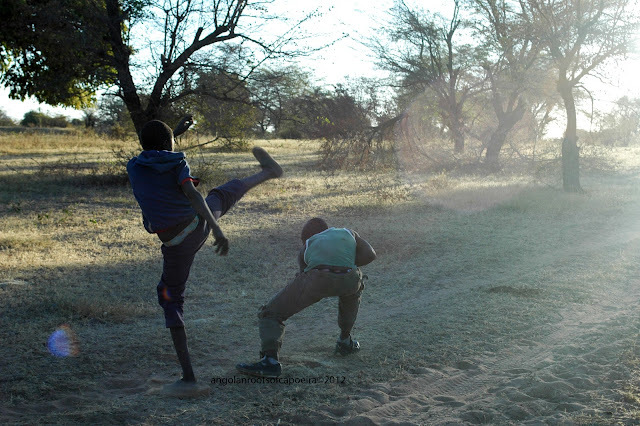 The players start a game full of trickery and play fullness in the tradition of African tricksters, cattle herders and warriors. There are various powerful myths about capoeira’s origins, but all are in a way or another linked to Africa. Some people believed it was developed by fierce maroon, or runaway slave fighters in the Brazilian backlands. Another story links capoeira to a legendary game called Engolo, played during the female initiation ceremony known as Efiko in southern Angola. 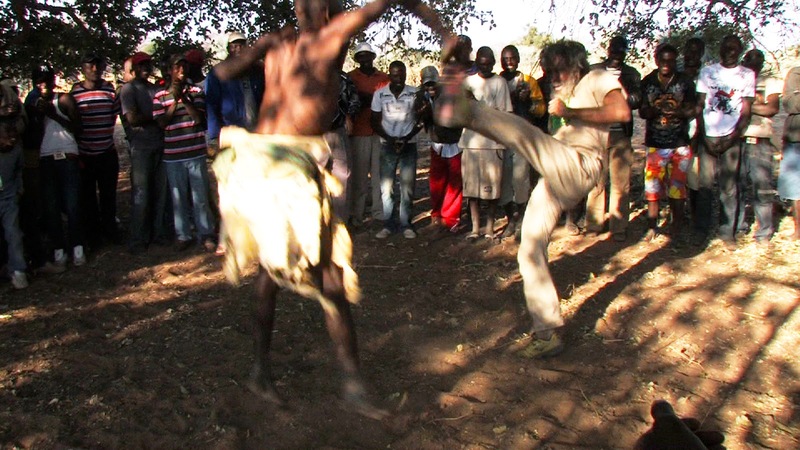 Because the past is re-enacted in capoeira play, and provides meaning for people today, practitioners are very keen to discover more about its African roots. In "Angolan Roots of Capoeira" Cobra Mansa and his team follow the course of the Cunene River until they reach Mucope where they live with an Angolan family and witness the legendary Efiko, the Engolo games and other related combat games and dances.